What are two words that strike fear into the hearts of thousands of Americans? Those two words are “root canal.” This procedure is infamously known for being incredibly painful, which is why there is such a stigma regarding the term. With advancements in dental technology, and the masterful dental prowess of our dentists, root canal therapy is actually painless. The procedure is straightforward and promotes a healthy mouth. Premier Walk-in Dental provides the most seamless, professional root canal therapy for those with infected teeth. Root canal therapy is necessary when a tooth, or more specifically the inside of the tooth, becomes infected or inflamed. The inside of the tooth is known as the pulp, and it contains nerves, blood vessels, and roots. When the pulp becomes infected or inflamed, it begins to cause extreme, throbbing pain. If it’s not treated, the infection may spread, swelling can increase, bone loss can occur, and decay can eat through the inside of the tooth. With a root canal, the infected pulp is removed from the tooth and the area is disinfected, leaving a healthy tooth intact. After we determine if a root canal is necessary, we will take a digital X-ray to determine the area of the infection. 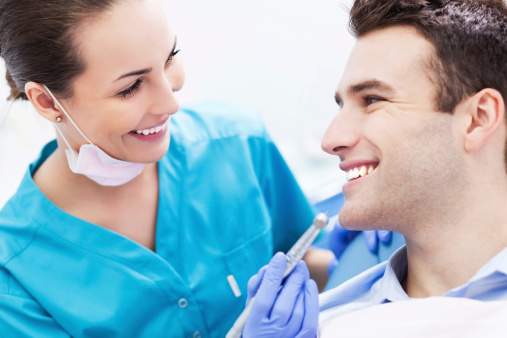 When we begin the procedure, we will use a local anesthesia to numb the area around the tooth. We will also surround the tooth with a rubber dam to keep everything dry and free of saliva. We will drill a small hole into the tooth. We will begin to remove the infected pulp via a series of small files. Water and sodium hypochlorite is used to flush away the remaining debris. The tooth is completely disinfected and the hole is resealed with a filling. If any other restoration is needed, we will fix the necessary parts of the tooth (i.e. crowns). If you feel excruciating pain in your tooth, please allow our professionals to take care of the problem and restore your tooth to proper form. Call our friendly staff and schedule your appointment. We welcome all patients that reside in Rockledge, FL, Cocoa, Satellite Beach, Merritt Island, Viera, Suntree, Melbourne, Palm Bay, and the surrounding communities.